In a case, that has left U.S. cattle producers critical of the government’s reliance on foreign countries and the World Organization for Animal Health (OIE), Brazil has reported its first case of bovine spongiform encephalopathy (BSE or mad cow disease), two years after the cow died, according to an R-CALF USA, the Ranchers-Cattlemen Action Legal Fund news release Dec. 7. What happened in Brazil to cause such a delay? According to the OIE notification report, in Dec. 2010, Brazilian veterinary officials were called to check on a 13-year-old cow exhibiting limb stiffness in the city of Sertanopolis, Parana state. However, when they arrived, the bovine was dead. Suspecting rabies, as it is not uncommon to see this disease in cattle and other herbivores, the animal was tested, which turned out negative. Since it appeared to be a neurologic disease, a sample was sent to an accredited lab to rule out BSE. In April 2011, the histopathological test was reported as negative. According to the OIE report, a sample was then sent to the National Reference Laboratory, National Agricultural Laboratory (LANAGRO-PE), Recife, Pernambuco, for BSE diagnosis and it tested positive on 15 Jun 2012 by immunohistochemical test—a full 18 months after the death of the cow. It was again confirmed for BSE at the UK OIE lab this month. Brazil authorities say the delay in testing was due to a low-prioritization of this particular sample based on several reasons. This chain of events has brought criticism from R-CALF USA who report, even though the OIE considers Brazil as having a “negligible BSE risk”, that approximately 67 million pounds of Brazilian beef were imported into the United States since the Brazilian BSE suspect was identified. “That means the U.S. imported enough beef from Brazil in 2011 and 2012 to feed over 1 million Americans their annual consumption of beef,” said R-CALF USA CEO Bill Bullard. 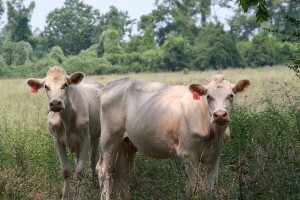 “None of that Brazilian beef imported into the U.S. during the past two years was subject to BSE mitigations that are supposed to apply to countries where BSE is known to exist, meaning U.S. consumers have been subjected to an unnecessary and avoidable risk of mad cow disease from Brazil,” Bullard added. “This failure by Brazil to provide timely notice of its disease problem clearly demonstrates that USDA’s ongoing reliance on foreign countries and the OIE to protect U.S. citizens from unsafe imports is absolutely foolish and without basis, and is another example of why we need country-of-origin labeling,” Max Thornsberry, D.V.M. and Chair of R-CALF USA’s Animal Health Committee concluded. According to the Centers for Disease Control and Prevention, BSE (bovine spongiform encephalopathy) is a progressive neurological disorder of cattle that results from infection by an unusual transmissible agent called a prion. The nature of the transmissible agent is not well understood. Currently, the most accepted theory is that the agent is a modified form of a normal protein known as prion protein. For reasons that are not yet understood, the normal prion protein changes into a pathogenic (harmful) form that then damages the central nervous system of cattle.